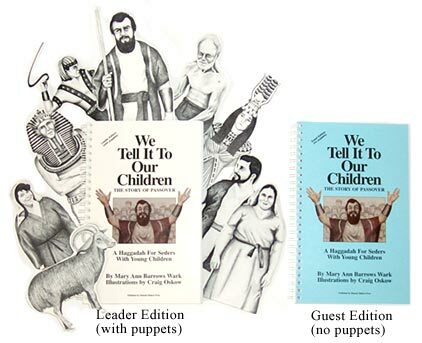 There are 9 puppet roles and you will need a minimum of 6 books. Leader Edition includes a full set of 9 puppets to cut out. Guest Edition has no puppets; but is fully compatible with the Leader Edition. Orders for standard shipping must be made by April 10th, 2019 for first night seder April 19th, 2019. Buy them on Amazon™ using the links below.